After some amazing golf to start his career, Under Armour staff player Jordan Spieth got his first signature golf shoe. The Spieth One, like any product with the Under Armour name, is packed with technology to help you perform at your best. We’ll show you why the former #1 player trusts these shoes for his game and why you should too! A sleek looking shoe, the Spieth One features technology developed with some direct input from Jordan. For starters, the Spieth One is 100% waterproof yet breathable. The upper prevents water from entering while allowing perspiration to escape using UA Storm Technology. The technology gives the shoe comfort and performance in any conditions. 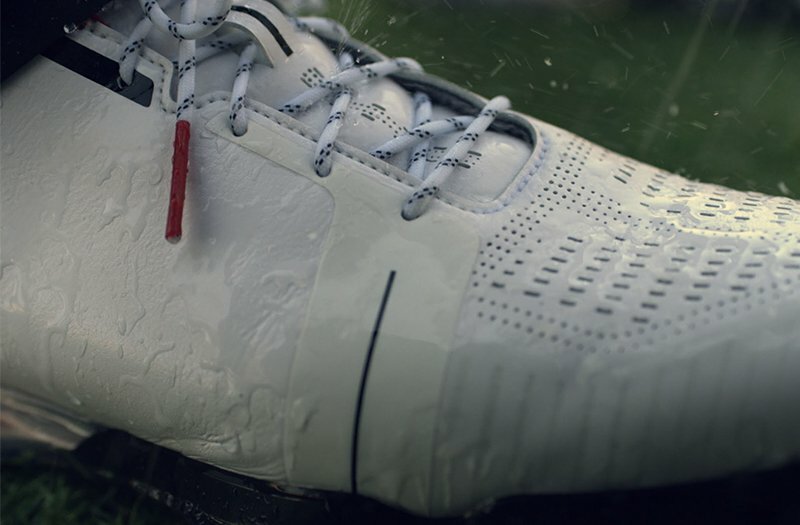 The Spieth One has a 2-year limited waterproof warranty, in line with other top level golf shoes. Under Armour also reduces the weight of the shoe by limiting layering, composing the upper with a single seam. A single seam helps enhance the shoe’s fit and feel. Fewer layers also keep the shoe from looking bulky. 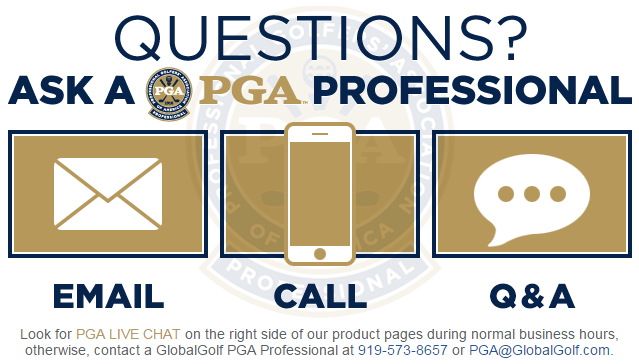 Have you ever slipped while making your swing? 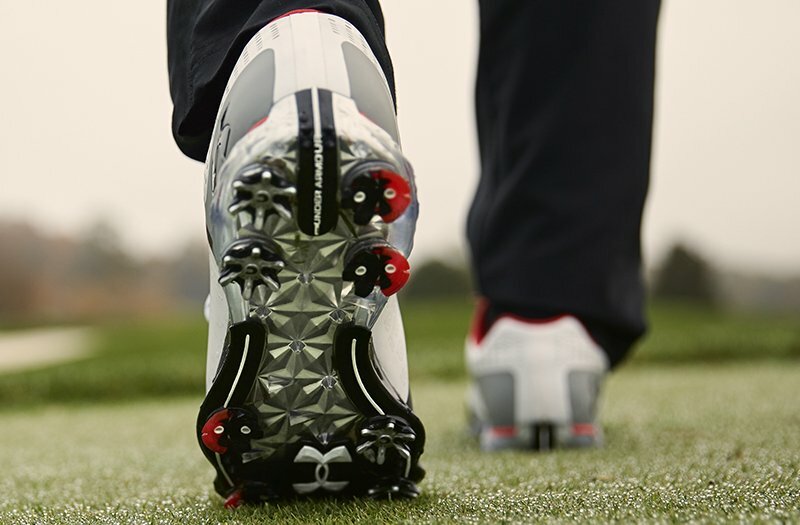 Under Armour comes to the rescue, outfitting the sole of the Spieth One with Rotational Resistance Traction. In short, the sole design helps the shoe resist the tendency to slip during the swing. The key to this feature is the UA Rotational Resistance Spikes, located on the outside toe and inside heel part of the sole. The spikes provide stability from load up to impact. 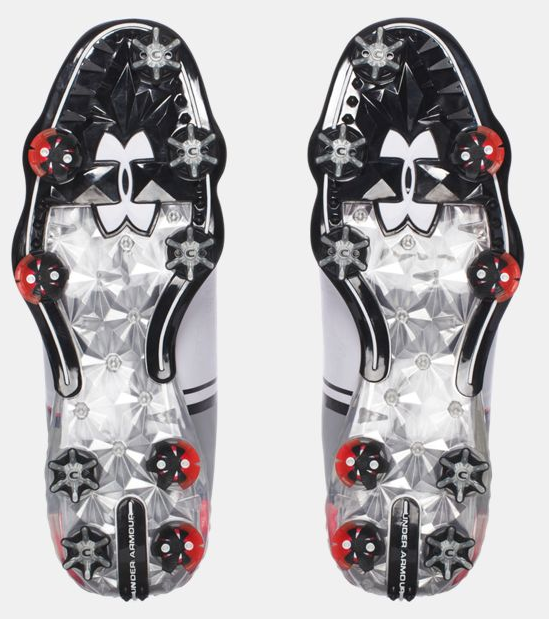 Finally, in looking for comfort while walking, Under Armour utilized a Dual Durometer outsole. The outsole features a softer forefoot providing flexibility along with a firm heel for stability and support. The Spieth One is available in both a traditional tie version and a BOA version. With four color combinations, the Spieth One looks to be the start of an outstanding line for Under Armour allowing all golfers to benefit from a design specifically geared to one of the top players currently on tour. Have you seen the other shoes made by Under Armour? They are equally comfortable and stylish! What Gives FootJoy ContourFIT Neverending Comfort?